An easy to use 3 strip biological monitoring service that verifies Sterilizer performance and provides third party documentation. 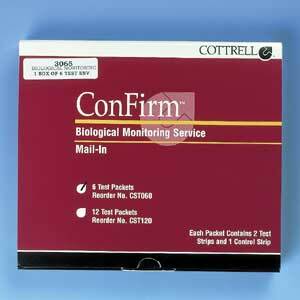 ConFirm Mail-In provides you with a high level of confidence that your Sterilizer is functioning peoperly. All packets are postage pre-praid. Box of 6 Test Packets.